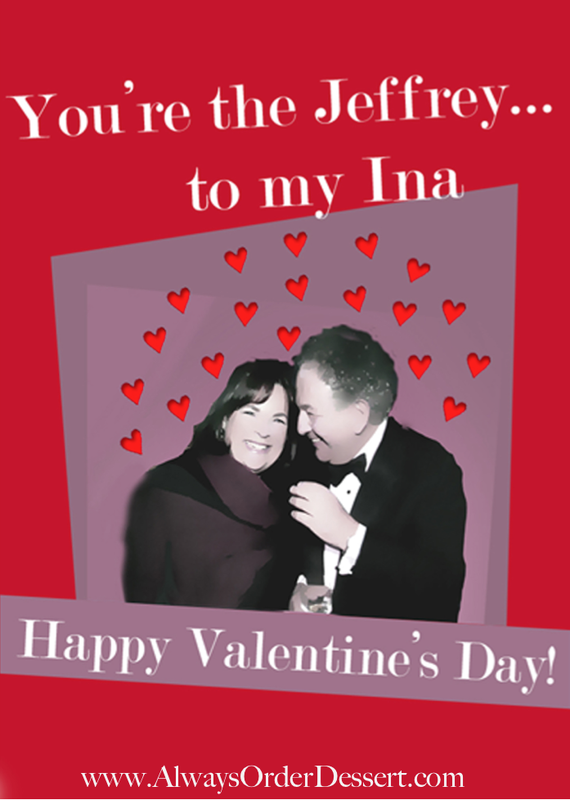 I think the relationship between Ina Garten and her husband Jeffrey is absolutely one of the sweetest love stories on television. (Liz Lemon certainly agrees!) My favorite Barefoot Contessa episodes are the ones featuring Jeffrey, because I love seeing that way that Ina lights up when he's there (like the recent "Barefoot in London"). The two of them are adorable with each other--he always seems so happy and proud to try the treats she makes him, and she's always so excited to make him his favorite dishes. It's not cheesy or fake--it's just the pure pleasure of watching two people who genuinely love and enjoy each other's company. Last year, I had the opportunity to hear Ina speak about her life and career here at the Hearst Tower. She was charming and talkative the entire time, but my favorite was when someone asked about Jeffrey. The minute she heard his name, her face broke into a huge smile, and you could tell this this truly was a woman who is still very much in love with her husband. Even better, he clearly feels the same way about her. 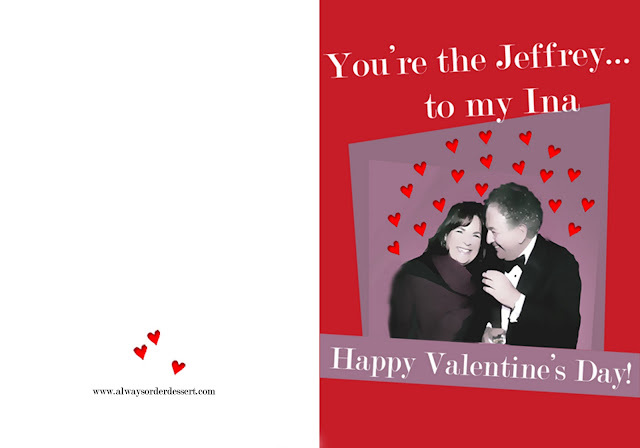 Click below to download both versions of the fold-able card. Last night, I walked into the kitchen to find Eugene washing the dishes and talking about how much he liked the delicious dinner I'd made. I gave him a hug and said, "oh my love, you're the Jeffrey to my Ina." And as soon as the words came out, I knew what I had to do. I went running (literally!) to my computer and created these Valentines. Or click here to download the Jpegs from my Flickr page. P.S. It goes without saying that these cards are just for fun. They're not affiliated in any way with Ina Garten or the Barefoot Contessa. Feel free to print these out, post on your blog or Facebook, or use in any other non-commercial way that's just for fun. Out of courtesy, I ask that if you post anywhere online, you please link back to Always Order Dessert. Thank you!